And you think your family is weird? Trust me, you've got it easy. 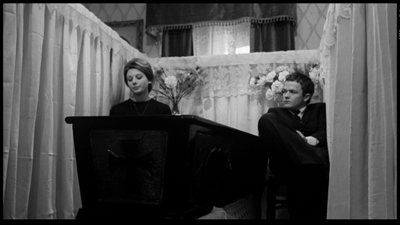 The family in Marco Bellocchio's perverse 1965 satire Fists in the Pocket is up there with the great oddball clans of cinema, somewhere between those magnificent Ambersons and the killing breed of Texas Chainsaw Massacre . They are emotionally twisted, physically deficient, and so caught up in each other's business, it's impossible for them to untangle themselves from one another. Bellochio's is a family of five--four children, and one blind mother (Liliana Gerace). Of the kids, only the eldest, Augusto (Marino Masé) has it together enough to have a job and the semblance of a normal life. He lives with the others in their out-of-the-way house on the hill, but he goes into the city to work and visit his girlfriend (Jenny MacNeil), leaving his siblings to fill their days with whatever it is they can find. The youngest is the developmentally disabled epileptic Leone (Pierluigi Troglio), who more often than not is left out of the trouble cooked up by the middle kids. Giulia (Paola Pitagora) and Alessandro (Lou Castel) share a strange bond. They are wickedly close to one another, but also constantly on each other's last nerves. Ale is the true mastermind of mischief, pushing buttons and tweaking noses at every turn, but Giulia eggs him on. There is a suggestion that there is something unnatural between them--Ale has written her a love poem that stirs up trouble at the start of the picture--but whether they've ever taken it farther, we don't know. Giulia is capable of making her own incestuous scandals. 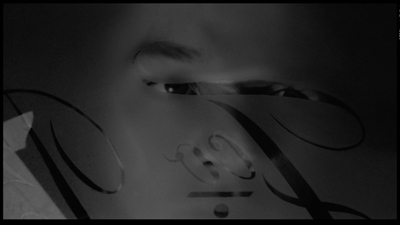 The movie actually begins with a note she sent to Augusto's girlfriend, Lucia. Pasting it together with letters she cut out of a newspaper, she informs Lucia that she is pregnant with Augusto's child and the true love of his life. It's all lies, of course. Maybe she does have feelings for Augusto, she gives him many a long look, but the true motivation of this act is likely to sabotage his happiness and keep the family's claim on their number-one son. This is what seems to motivate all the pranks and outbursts. The circle is closed, and no one gets out. As the movie progresses, Ale even plots to keep Augusto from moving out of their family home, which is large and full of the group history. That history is represented in kitsch objects, the eccentric antiques and heirlooms and portraits gathered over the years, like a precursor to the big house in Wes Anderson's The Royal Tenenbaums. These are the sick cousins of the Tenenbaums, the ones who don't have the creative outlets their future cinematic kin find to maintain their semblance of sanity. 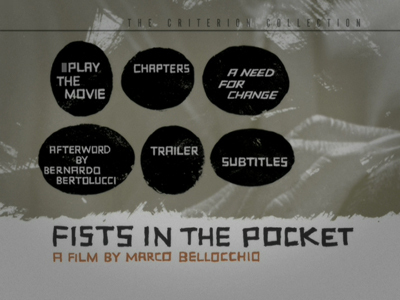 Fists in the Pocket is a bizarre film. 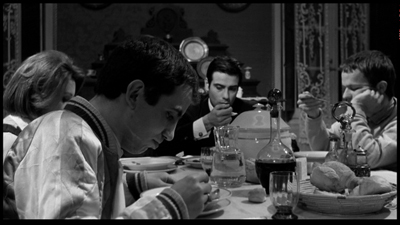 It's Bellochio's first feature, and the writer/director revels in an anarchic storytelling style. The narrative is all over the place. Exposition is often repeated, and the script sometimes moves from one scene to another in quick jumps, skipping right over more traditional transitions. When this happens, it's almost like the crew is making it up as they go along, improvising one absurd scenario after another. 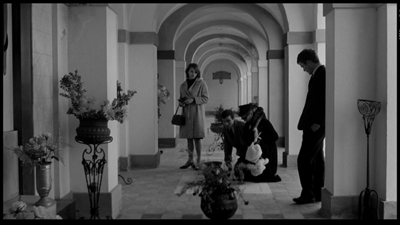 Visually, the director uses composition to emphasize relationships. There are a lot of two-shots that bring characters closer, emphasizing their connections and their conspiracies. 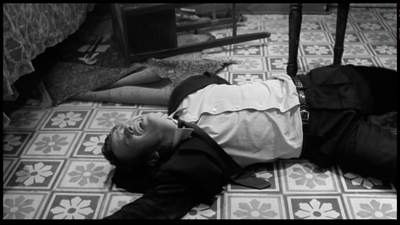 Other times, he puts objects between them, like a casket or the dinner table, to push them apart. He will also foreground those who are joined and background those who are left out, using distance just as effectively as he uses the lack thereof. As black comedies go, I wouldn't call Fists in the Pocket laugh-out-loud funny. When I laughed, it was more out of admiration and fascination. There is a strange pathology at work in the household. The demented siblings are building their own world within it, but like ancient gods, they have grown bored of their creations. As soon as Ale has hatched one scheme, he's tired of it. His mayhem is plagued by ADD. His motivation is schizophrenic: on one hand, he decides to kill himself and the others to benefit Augusto; on the other, he does things that are meant to knock his brother down a peg. He contrives to catch Augusto cheating at cards, and he also seeks out and hires the same prostitute his brother frequents. When Augusto takes him to a nightclub for Lucia's birthday, we see Ale in the real world for the first time. He is socially awkward, unable to carry through when a pretty girl tries to dance with him. The only girl Ale has time for is Giulia, and part of the reason his clown act keeps evolving is he's trying to keep her entertained. As an acting pair, Castel and Pitagora are perfectly in sync, working the same offbeat rhythms. The way they communicate is reminiscent of the secret language of twins. Leone tries to be part of it, but he doesn't know the code. Augusto doesn't know it either, but he has no interest in cracking it. 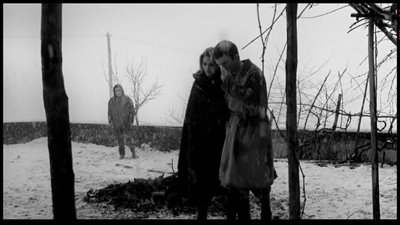 In much the same way Cocteau and Melville critique the crumbling social mores of modern culture in Les enfants terribles by isolating their brother/sister duo from the rest of the world, so two does Bellochio draw a tight circle around Ale and Giulia. They choose who comes in and out, rejecting religion, the old and infirm, emotional nostalgia, and conventional survival. It's all empty and waiting to be exploded. It can only end badly. The problem with this kind of nihilistic ennui is it can only go on for so long before it runs out of things to reject. Ale stumbles into a regular pitfall of the jester: he has to keep pushing for bigger reactions, and he can't see when he's gone too far. At the close of the film, he gets too cocky, thinking he can sew everyone into his web. The one thing he didn't factor on was that in creating chaos, chaos can come back on you. Giulia stops finding him funny once she's seen behind the curtain, and an accident has also left her physically incapable of indulging Ale any longer. 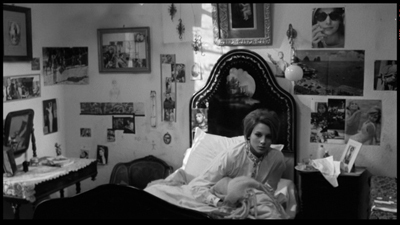 Now she chooses to isolate him, staying in her room surrounded by images of idyllic lives they will never have, Marlon Brando and magazine advertisements, while Ale writhes around to the more extreme emotional outburst of an operatic aria. The girl leaves her brother to his own devices the way one lets a screaming baby wail and cry until he can't cry anymore. Rebellion always meets its match when it faces Indifference.